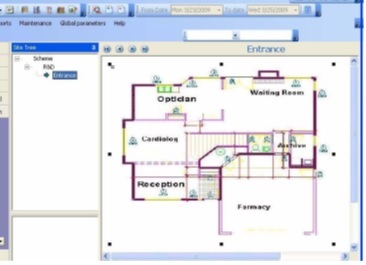 Most of the Access Control software specify the individual employee access permission in the organization at HARMONY the Time and attendance with Access Control module Software from Synel MLL PayWay LTD. We develop a smart permission method that specify group of permission for specific job and another permission by department, this simple role help editing and adding new employee in few simple step and less mistake. At Harmony the software operator add employee once for the both systems for T&A and Access Control using the same details, the operator doesn’t have to know about the security or the employee permission and by choosing the department the employee get automatically the department permissions, in case the employee should have more permission the operator or the security will give him another security by group of doors and time permissions. By adding Security Group the software operator allow entry for specified doors at specified time zones and gather them in one group. At each Security Group the software operator specify the doors that the employee can access and the relevant Time Zone they can access.